In a previous post, I talked about my experience using X2Go with XFCE4 and Lubuntu. Here is how it was achieved….. Here I’m using Ubuntu 14.04 LTS but you can install X2Go on just about any Linux distro. Create a regular user to run the desktop session under. For your own sanity, I recommend you setup password-less key-based authentication as soon as possible……go, do it now! Open the main configuration file for the OpenSSH daemon process. Ensure X11 forwarding is enabled. Don’t forget to test for configuration errors and restart the SSH service. 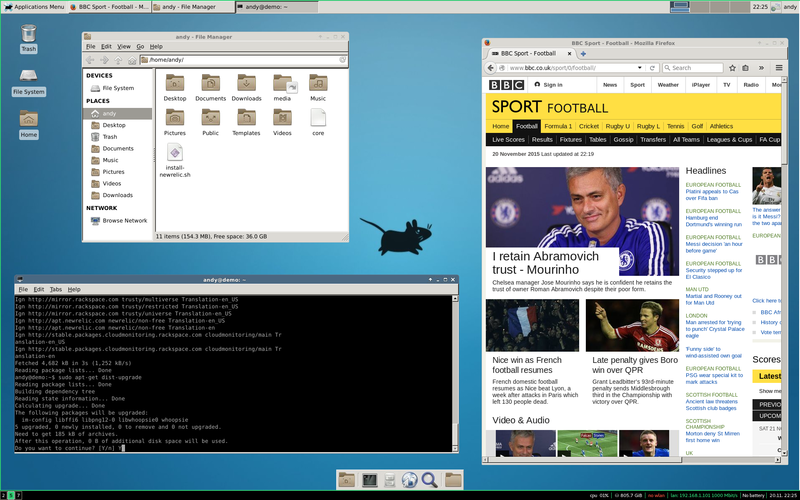 Both Lubuntu and XFCE4 work well, out-the-box with X2go. I installed both side-by-side for testing and both worked well together. You can even pause/suspend your Lubuntu or XFCE4 session and come back to it another time. Note, for some reason you will also need to install the following packages or you will have missing icons. Along with (a load of) other packages, you will now have XOrg installed. This means, as long as X11 forwarding has been enabled on the client side of the SSH connection, you can now test X11 with a program like firefox if you have it installed already. Install the repository package if it’s not already installed. Add the X2Go repository and install packages. If using Ubuntu 10.04 or 12.04, install python-software-properties instead of the software-properties-common package. For information about other distributions, see the X2Go server installation page. If you installed Lubuntu, you may want to install the following package for Desktop Environment bindings. I don’t believe there is currently a desktop bindings package for XFCE4. This is probably a good place to reboot if like me you’ve installed a lot of new packages. Again, you can install the client on just about anything – including Windows! Here I am using Manjaro i3 Community Linux. X2Go also has some other clients that look useful – like a Python one for example. Make sure you have at least ForwardX11 yes in /etc/ssh/ssh_config or ~/.ssh/config. You can test that X11 is being forwarded correctly by using SSH to log onto the remove server, from your local Linux desktop, and and issue the following. You might also want to setup password-less SSH key-based authentication if you’ve not done so already. 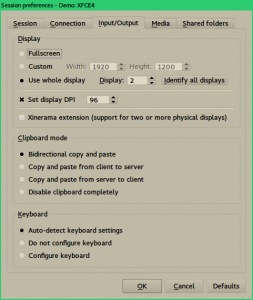 For Lubuntu, select Custom Desktop and enter the below for the command. 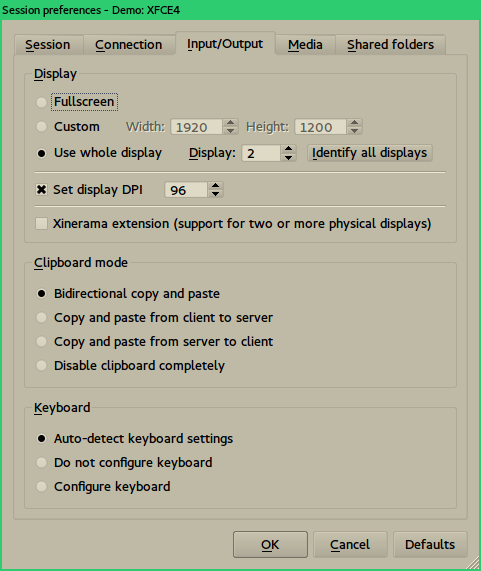 For XFCE4, you can just select XFCE. I’m using the i3wm – I found the best result in appearance using the Use whole display option under the Input/Output tab, and then select the display (monitor) you want to use.